Thread: Let's see those birds!! We did a 13lb bird on the rotisserie, I pulled it at 168 degrees and foiled it and left it sit on the counter for 2.5 hours. It was still hot when I carved it up. This was my Christmas turkey. 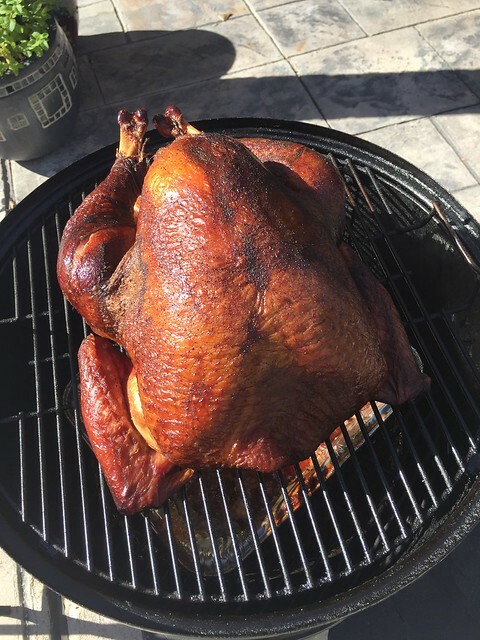 Dry brined a non-injected turkey from Whole Foods. Used a mix of wood, mainly cherry. It turned out real nice.